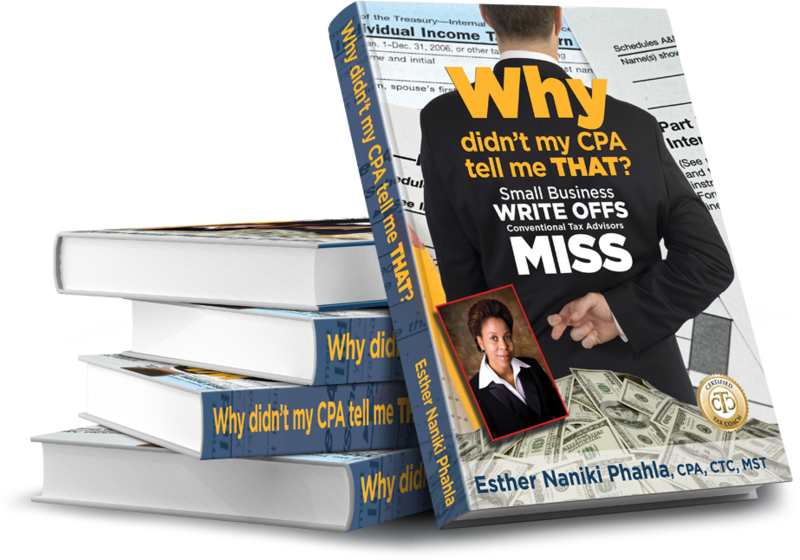 Esther Phahla is the Founder of Esther N. Phahla, CPA, A Professional Corporation, a Temecula, California, Professional Tax Services Firm. 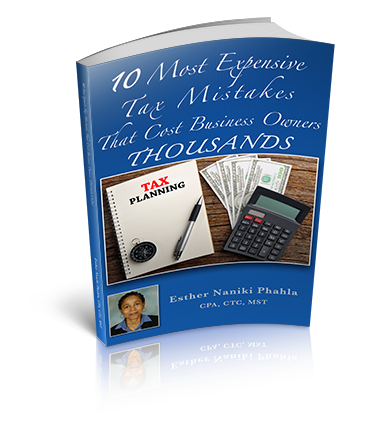 She is a Certified Public Accountant (CPA) and Certified Tax Strategist (CTS) dedicated to helping small business owners and individuals design an optimal tax strategy to help them keep more of what they earned. 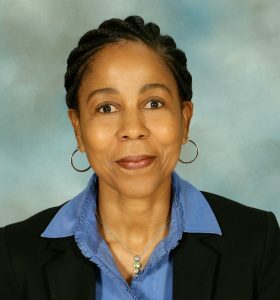 Esther holds a Master of Science in Taxation degree from Golden Gate University. She also holds a law degree from South Africa. She has been working in the Tax Field for over 18 years. Esther uses a Close Personal Attention approach in serving her clients because every client’s needs and goals are different. She keeps up to date with tax law changes by taking professional education coursework every year. First Degree Black Belt by the American Taekwondo Association. Esther lives in Temecula with her husband of 23 years and their daughter. She enjoys reading, watching movies, and traveling.